Here's one more I'd love to add to the list! Maki-San! It's not local cuisine, but who doesn't love sushi? And this one is certified halal too! Maki-San is great if you like to customise your own sushi and salad. 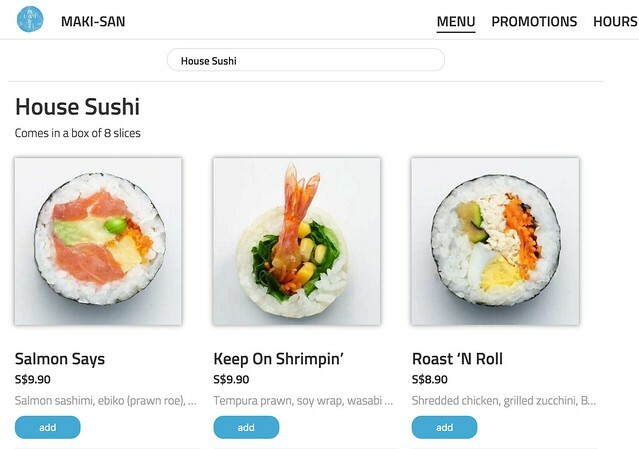 Make your own "Little San Sushi" for just S$7.90 (three main ingredients besides the rice) or a "Mega San Sushi" for S$9.90 (five ingredients). I like that I can choose brown rice and soy wrap (omg it's pink!) for my sushi. And where else can you dictate roasted peppers and tempura enoki mushrooms as ingredients? 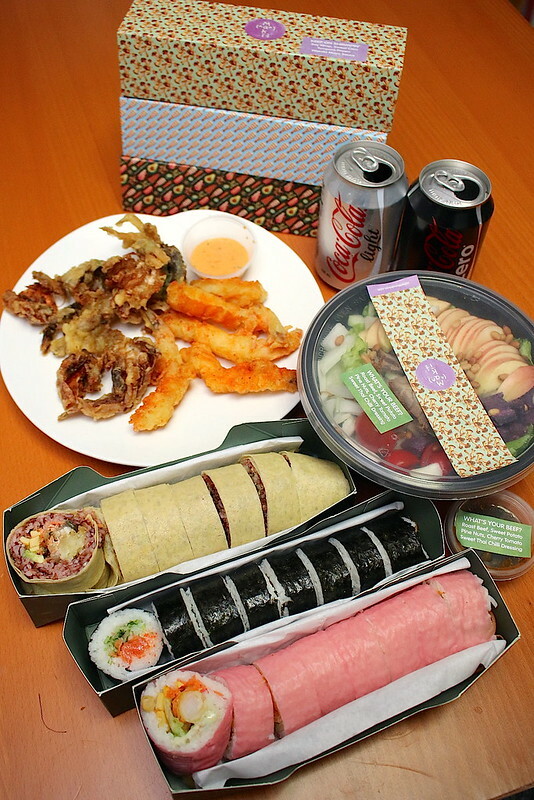 Portions are generous, and the sushi rolls come in such gorgeously designed drawer boxes too! If choosing is too confusing, you can pick some of their bestseller house rolls like Salmon Says and Simply Shrimpin'. Maki-San has the coolest, quirkiest site. You can even play emojicon pachinko there. I have no idea how to win, but it's fun to click. 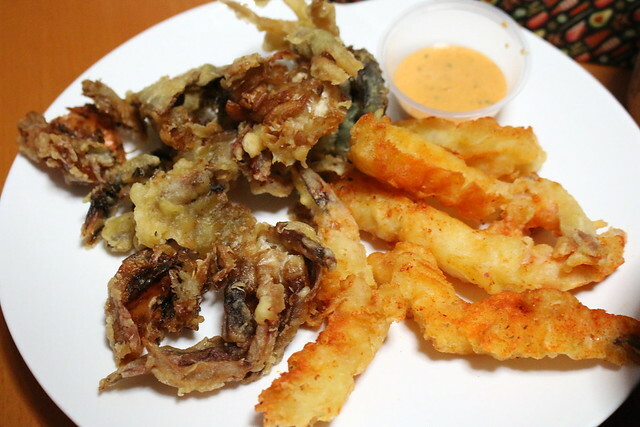 I also opted for the Tempura Soft Shell Crab and Tempura Ebi (S$7.50 each) not expecting much, but was surprised that the portion sizes are so generous! I also like the fresh salads. 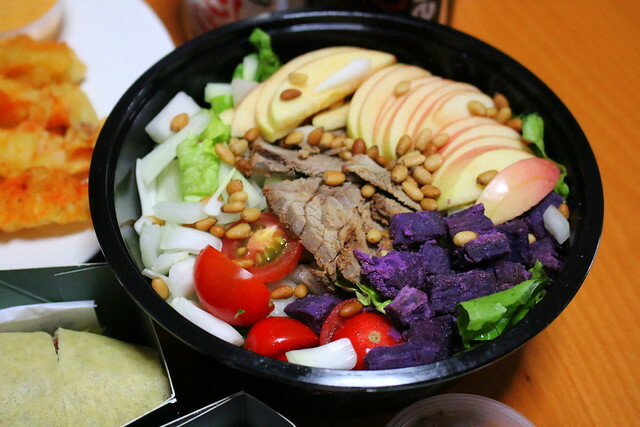 The "What's Your Beef" (S$9.90) gives you roasted beef, caramelised sweet potato, pine nuts, cherry tomato, apple, onion & mixed veggies dressed with sweet Thai chilli. There's now also an app offering 20% off the menu, if you're willing to pick up your order. They now have three outlets (I12 Katong, The Arcade at Collyer Quay, and The Cathay). Maki-San is on FoodPanda but you'll get more variety if you order from their own website directly. And I see Christmas Promotional Bundles up already for the festive season!